If you’ve been hanging around these parts for awhile, then you know that while I enjoy meat, I’m not against meat substitutes but they have to taste delicious. That’s why when I was offered the opportunity to work with one of my favorite companies again, Beyond Meat, I jumped at the chance. I discovered Beyond Meat awhile ago (read about it here). In fact, when I first brought Beyond Meat into our house, I did a blind taste test for my husband with the Beefy Crumbles. 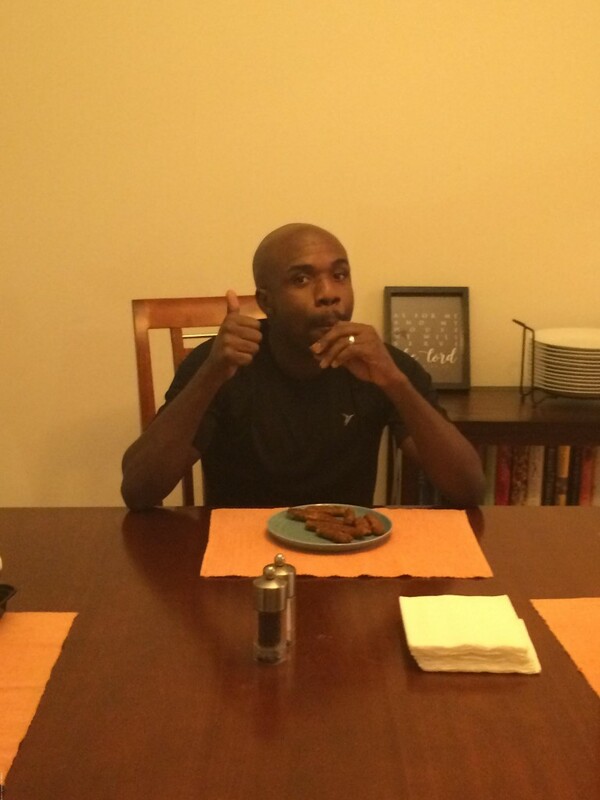 When I was asked to try out some more of the Beyond Meat products and do another blind tasting, I jumped to say yes! Beyond Meat really is the future of protein and I’m so happy to share this awesome product with you. I honestly have never had another meat substitute that I’ve enjoyed. And I absolutely LOVE Beyond Meat. 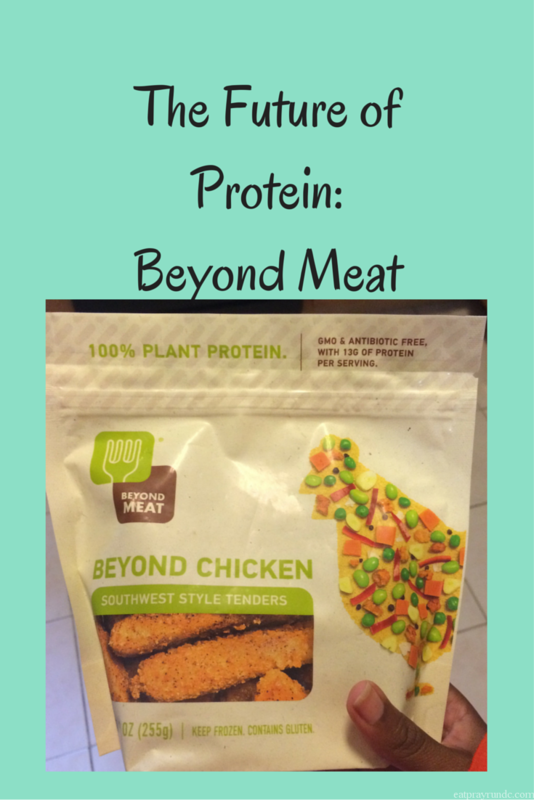 Read on to learn more and to get a coupon so YOU can try Beyond Meat! What exactly is Beyond Meat? Well, Beyond Meat is 100% plant-based protein. What does that mean? Let’s take a look at what meat is. Meat is amino acids, fats, carbs, trace minerals and water. Beyond Meat takes those inputs from plants and assembles them in the architecture of meat. The end result has the same building blocks as meat and the same familiar chew and taste (this part is super important to anyone who cares about how their food tastes!). Since I first discovered Beyond Meat, it’s been really cool to see the product line grow and to see it in all my favorite stores (including Target, Whole Foods, Safeway and Giant). As a long distance runner, what I choose to fuel my body with is so important. Beyond Meat recognizes that and a number of elite athletes do as well. Including Eric Bledsoe of the Phoenix Suns, April Ross (professional volleyball player) and Maya Moore of the Minnesota Lynx. 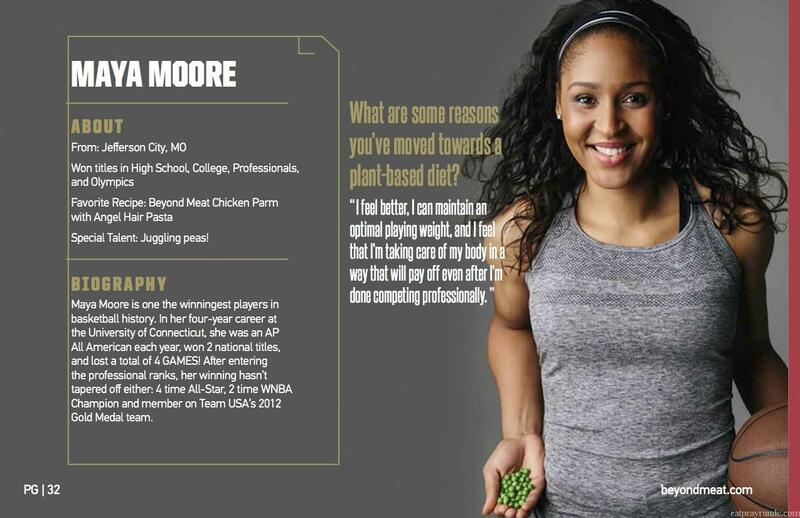 I loved reading about each of these athletes and what their favorite Beyond Meat product is. Learn a bit more about Maya below! So, here’s what happened with my own personal blind taste test: I literally spent ten minutes (max) getting together the Beyond Chicken Tenders. True story: my husband is obsessed with chicken tenders. I think he likes chicken tenders more than he likes me and so I knew this would be a true testament to Beyond Meat if he would love the Beyond Chicken Tenders. I had the food ready for him when he got home from work for a snack and served him up a plate of Beyond Chicken Tenders. He loved them. I actually let him eat the whole plate of Beyond Chicken before mentioning that it wasn’t meat. He had no clue. His response? “Oh. Well they were good – what was it?” When I told him about Beyond Meat and that it was the same company that makes the delicious Beefy Crumbles that we enjoy so much, he gave me his patented “oh, that’s cool.” response and asked if we could make more. For a chicken loving dude, it was a total win! I love knowing we can enjoy Beyond Meat products and have an excellent alternative to animal protein. Secretly substitute a Beyond Meat product in a family-favorite meal. Click here to download Beyond Meat product info and some suggested recipes. After everyone has enjoyed the meal, reveal to them that the meat they just ate was made from 100% plants! Capture their thoughts, comments, and of course, empty plates and happy faces. Post your photos and a recap of the dinner to Instagram or Twitter by 11:00PM PST on 10/31, tagging “@ BeyondMeat” and “#FutureOfProtein.”—this will automatically enter you in the sweepstakes. Repeat whenever your family wants to enjoy protein-packed meals without the downsides of animal meat. I’m so excited about the expanded line and hope you all enjoy the Beyond Meat products as much as our household is. I’ve seen these in the supermarket and I’ve always been curious as to if they taste “like meat”. I think I’ll give them a try. Thanks! I’m a big fan and have purchased Beyond Meat from the store regularly (with my own cash) since I first discovered them! I definitely recommend you try it! It’s so good! They are at most whole foods and giant and safeway now as well. The chicken tenders were yummy and I also LOVE the beefy crumbles – I buy them all the time. Thanks so much for the recommendation, Courtney (and the thumbs up from K! ); I’ll definitely look for these in my grocery store! you will love the products – they are all so tasty!!! Giggled when you said he might like chicken tenders more than you 😉 Definitely willing to give these a try! Highly recommend the whole product line!